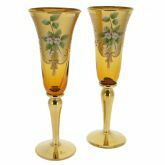 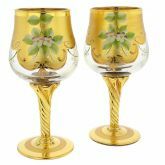 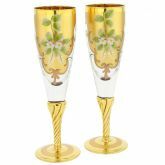 This gorgeous set of two Murano Glass Champagne Toasting Flutes is handcrafted by prominent glass artisans in their Murano-based workshop using traditional glass-blowing and decorating methods that came to us from the centuries past. 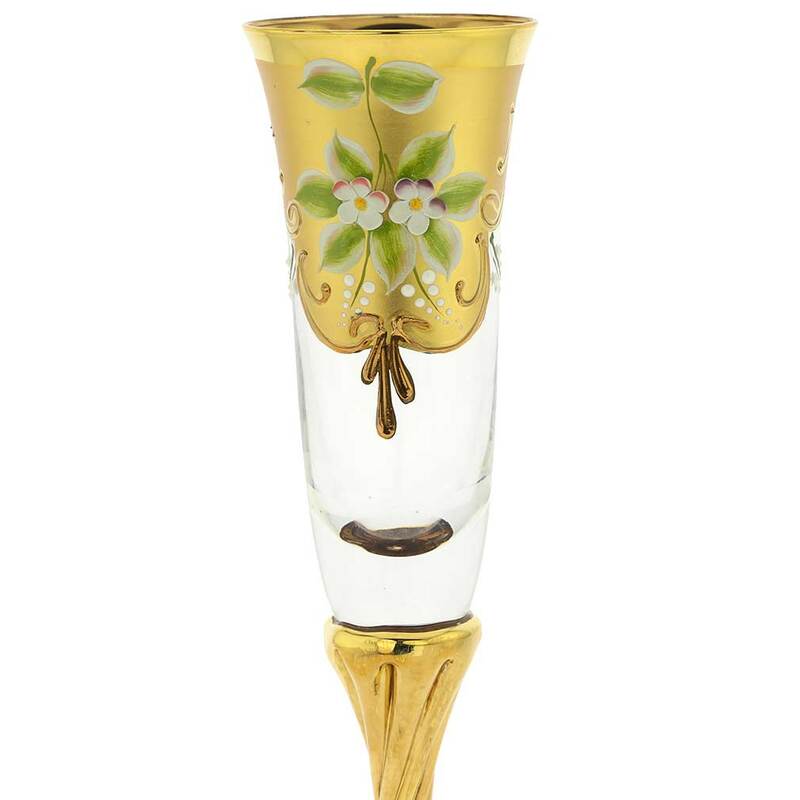 This style of glasses called "Tre Fuochi" or "Three Flames" was born during renaissance, when rich and famous residents of Venice sought luxury and refined elegance, and the artisans crafted glassware that was light, colorful, and opulent. 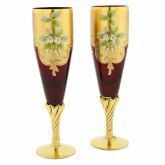 To create each champagne glass, artisans first blow and shape molten glass, then apply rich decoration of 24K gold leaf and enamel in a multi-stage elaborate process, which requires precision, experience, and incredible skill. 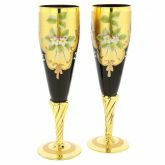 These goblets bring to life the glamour and glory of Venice in its heyday and let you set the table just like the well-heeled residents of the Venetian Republic. 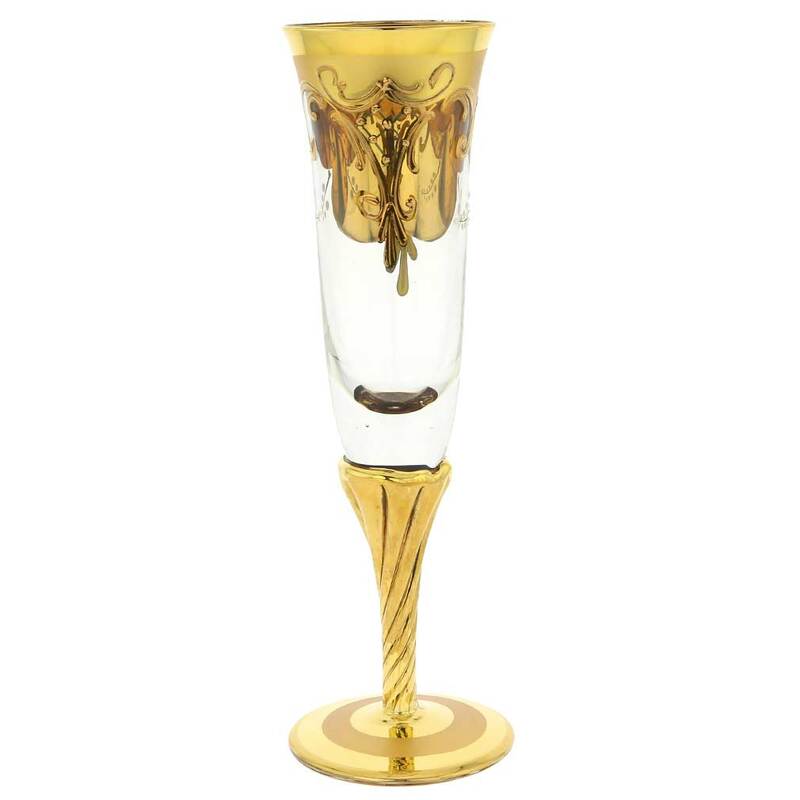 Enjoy the classic Venetian design full of ornamental elements, beautiful rich colors, and elegant hand-blown forms. 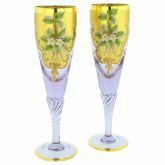 This champagne glass set is an amazing engagement, wedding, or anniversary gift that will be treasured and enjoyed for years. 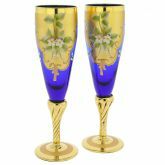 Measurements: This Murano Glass Champagne Flute Set includes two blue-and-gold toasting flutes. 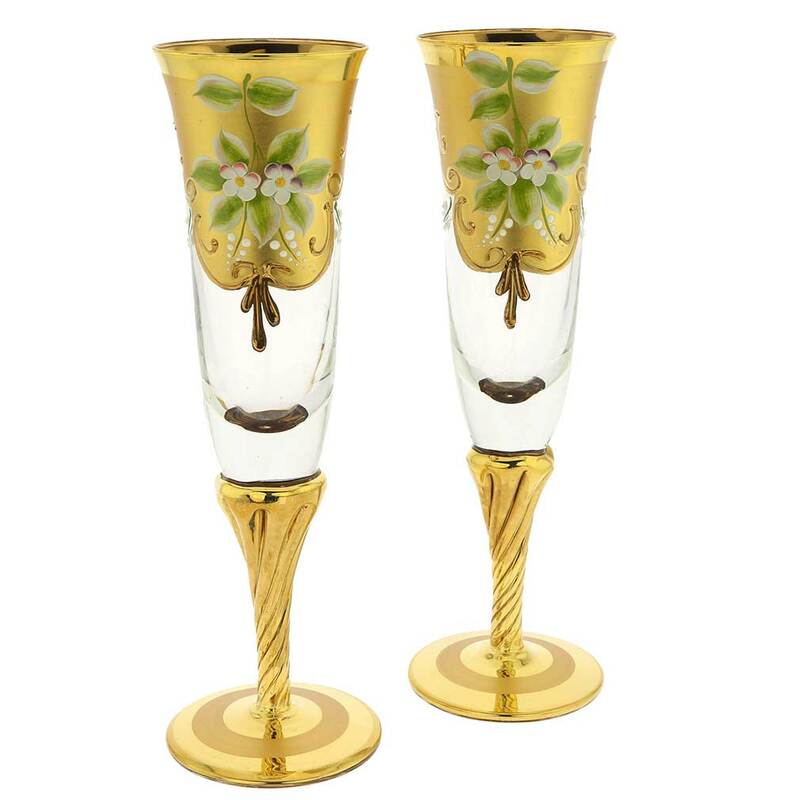 Each flute measures 8 inch in height, and the diameter at the base is 2-1/2 inches. 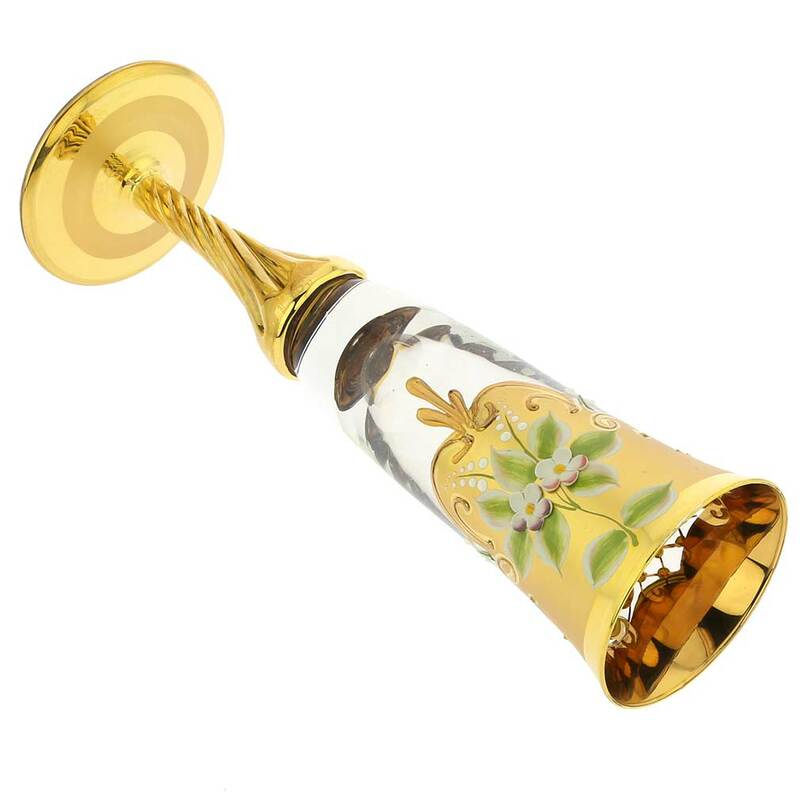 The diameter at the top is 2-1/2 inches. 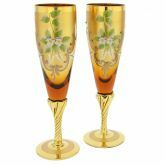 The goblets are hand-blown and hand-decorated using 24K gold. 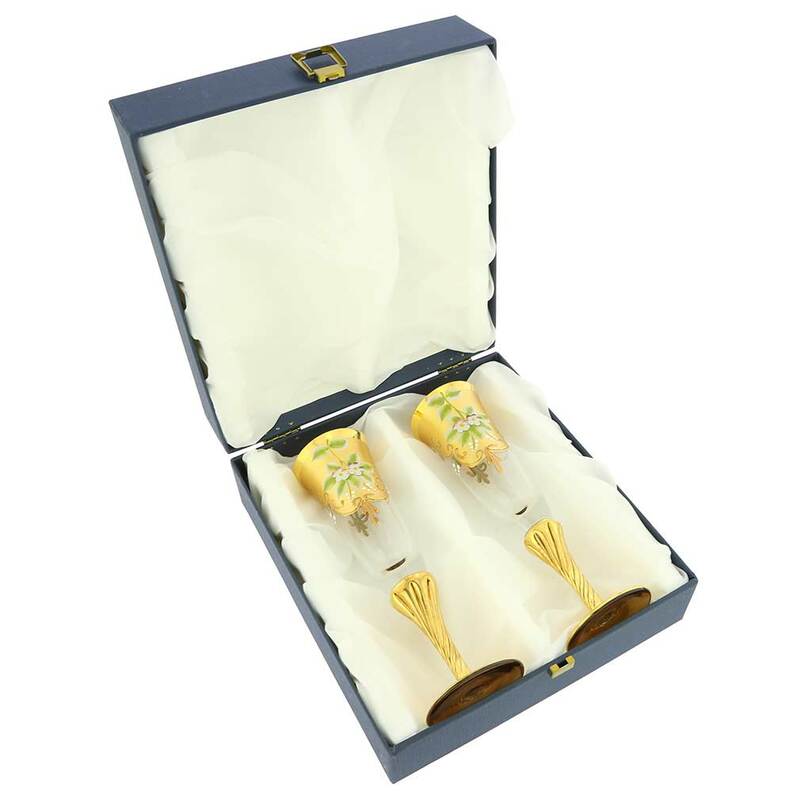 They are attractively presented in a blue gift box lined with silky white fabric that not only looks great but also assures safe transportation. 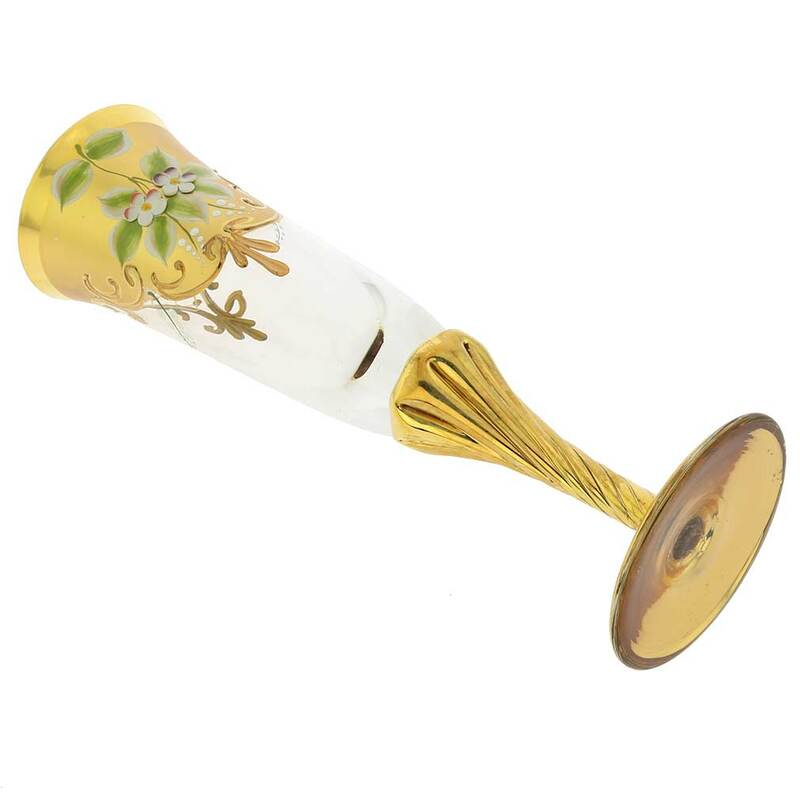 The set comes with a certificate of authenticity.